Broker/Owner Ann M. Buonocore has been in business for over 25 years. Her career experience includes managing apartment complexes and condominium associations, residential sales transactions, renting, leasing and orchestrating commercial projects like Windham Estates Assisted Living in Groton, CT, The Best Western/Ground Round Hotel and Restaurant in Mystic, CT, and the Crossings-at-Lisbon, a big box retail shopping center. 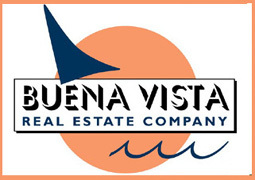 BUENA VISTA RESIDENTIAL: Speacilizing in assisting both buyers and sellers in all aspects of the real estate transaction. CLICK HERE for a video tour of a 5+ acre parcel of land in Stonington, CT.